Since 1 November 2017 Professor Alison Twycross has been Deputy Dean and Lead Nurse in the School of Health and Social Care at London South Bank University. 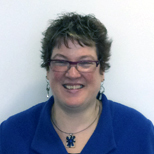 Alison joined LSBU in September 2013 as Head of Children's Nursing and Reader in Children's Pain Management. She has a particular interest in promoting the use of evidence in practice, particularly in relation to children's pain management. In April 2016 Alison became a Professor of Children’s Nursing. In 2016 Alison was also awarded a Florence Nightingale Foundation/Council of Deans of Health leadership scholarship for aspiring deans. Alison qualified as a RGN and RMN in 1987 having completed an integrated course at the Princess Alexandra School of Nursing in London. Since then Alison has worked in children's nursing in a variety of settings in London, the Midlands and Scotland. She completed her RSCN course in 1990 at Enfield and Haringey School of Nursing. Alison then completed her MSc in Nursing Studies at City University in 1993, a Postgraduate Diploma in Management Studies in 1996, a CertEd(HE) in 1997 and went on to complete her PhD at the University of Central Lancashire in 2004. Alison's first academic appointment was at the University of Central England in 1996 where she was a member of the children's nursing team and in 1998 she moved to the University of Nottingham. In 2002 Alison took up a joint appointment between Glasgow Caledonian University and Yorkhill Hospital. From 2005 to 2013 she worked within the Faculty of Health, Social Care and Education at Kingston University and St George's, University of London where she led the children's nursing team as well as holding a number of other roles. In 2011 she spent a six-month sabbatical at the Centre for Pediatric Pain Research at IWK Health Centre, Halifax, Nova Scotia. Alison is an experienced researcher who is recognised internationally in the area of acute pain in children and has published widely in this area. She has edited three books which bring together the evidence for children’s pain management and are used as key texts worldwide. Alison has also written a series of papers aiming to demystify research. Since August 2010 Alison has been the editor of Evidence Based Nursing. Alison is co-chair of the British Pain Society's Education in Pain Special Interest Group and has an international reputation as an expert in nurse education. She is keen to ensure that evidence-based methods of teaching and learning are used to facilitate the application of knowledge into practice. In 2017 Alison chaired the international taskforce updating the International Association for the Study of Pain’s nursing curriculum. Alison is an expert on ethical issues relating to involving children and young people in research. She undertook a review of ethical guidelines outlining the key issues that need addressing in this context (published in 2009). Alison has organised several workshops and given a number of conference presentations in this area, as well as being part of a group that developed an ethical road map for qualitative research for the Royal College of Paediatrics and Child Health. Alison teaches across a range of modules about pain management and research methods. She also supervises Masters and PhD students. Alison has additionally edited three textbooks bringing together the research evidence for children's pain management and published a large number of journal articles in this area. RCN Research in Child Health (RiCH) Group: Chair 1999 – 2005, Member of steering committee 1997- 2006, Facilitator for London group January 2006 onwards. RCN Children and Young People's Field of Practice Advisory Panel: Member of Advisory Panel 2000 – 2008, Chair of Advisory Panel 2005 –2008. 2012 onwards: Committee member British Pain Society Pain Education Special Interest Group. 2012: Reviewer for Ethical Research Involving Children: International Charterand Guidelines. 2011-2012: Member of advisory group for the Royal College of Paediatrics and Child Health's Ethical Road Map For Qualitative Studies. For more information please see the Royal College of Nursing website. 2010 onwards: Member of the Royal College of Nursing's Research Governance Group. August 2010 onwards: Editor of Evidence Based Nursing. 2010-2012: Member of British Medical Journal editorial board. 2010-2011: Member of a taskforce to review and update the International Association for the Study of Pain's Curriculum on Pain for Schools of Nursing. 2009 onwards: Member of panel of peer reviewers for the National Institute for Health Research Service Delivery Organisation Programme. 2009-2010: Member of the Nursing and Midwifery Council's wider reference group for the review of pre-registration nurse education. 2008 onwards: Member of Nurse Researcher editorial board.